2 pizza crusts (store-bought or home-made). 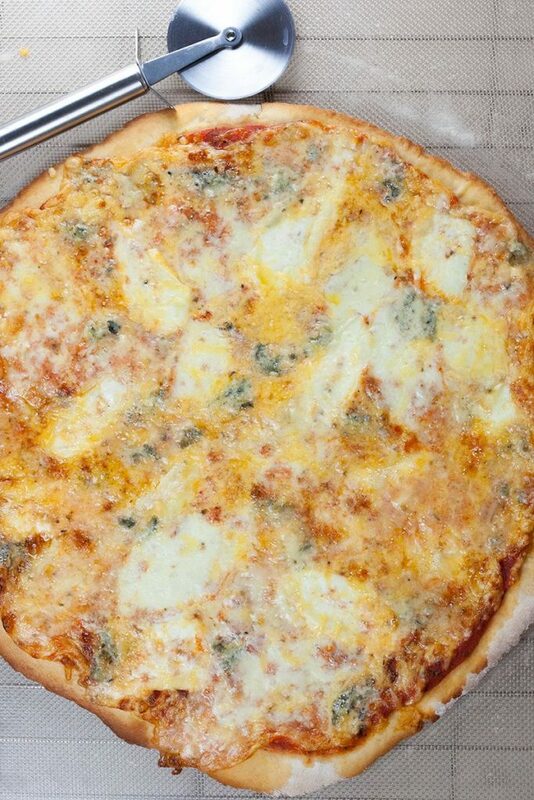 WHEN creating your own pizza dough, take in account the extra time needed for the dough to rise. 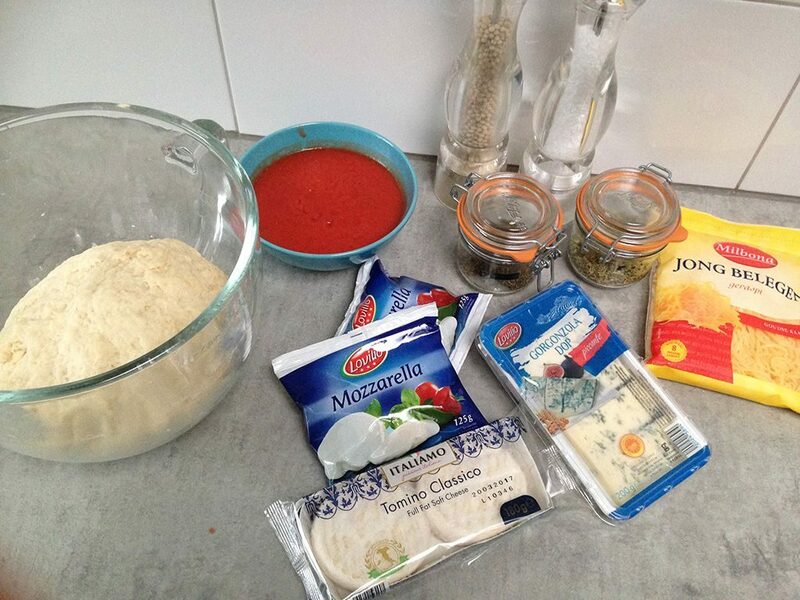 READ here how to create your own pizza dough. DOUBLE the recipe to make 2 pizza crusts, the ingredients are enough for 2 pizza’s. MEANWHILE prepare the tomato sauce. MIX the passata with dried thyme and oregano, then season with pepper and salt. PRE-HEAT the oven to a temperature of 210 degrees Celsius or 410 degrees Fahrenheit. 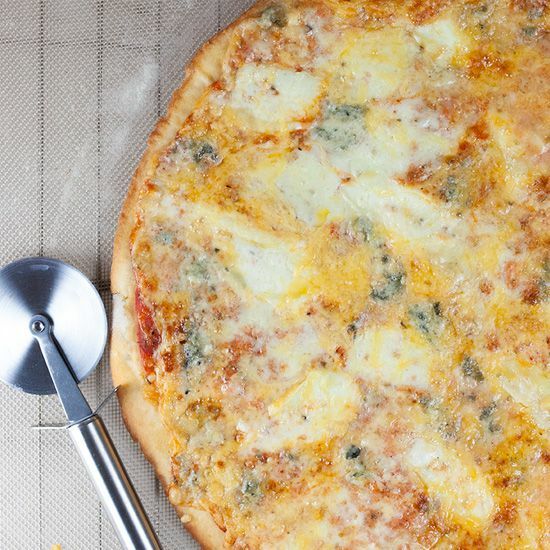 ROLL out the pizza dough as thin as you possibly can. 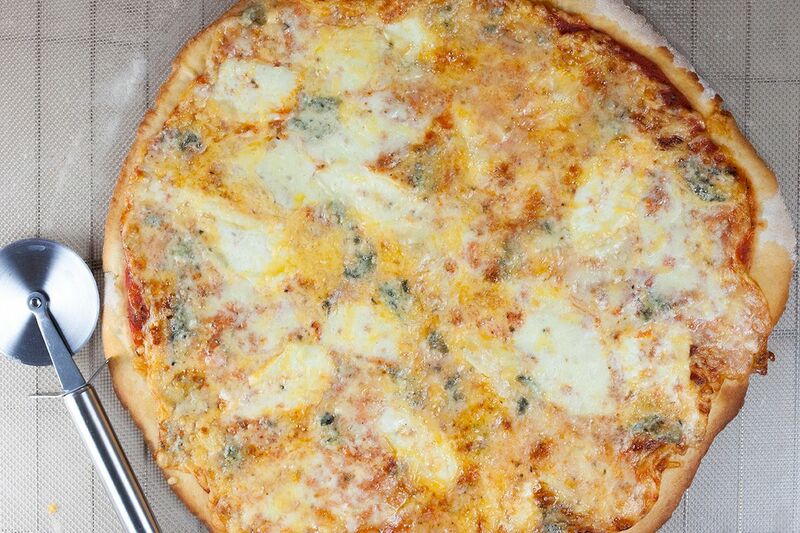 SPREAD tomato sauce in a thin layer over both pizza bottoms, but leave the edges free of sauce. SLICE the mozzarella and tomino classico in thin slices. CRUMBLE over the gorgonzola cheese and finish with grated (young) cheese. COOK the pizza’s in the pre-heated oven for about 10 minutes, or until golden brown. The exact cooking time varies depending on what kind of oven you have. SERVE immediately, enjoy your meal!